Canada’s remote communities have relied heavily on diesel fuel for decades as a reliable source of energy for heating, electricity generation and transportation. 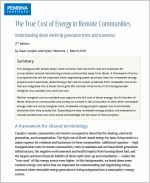 The majority of remote communities have significant diesel generation and electricity transmission infrastructure, but many of these diesel system are based on old technology and past end-of-life. Diesel consumption has harmful environmental, economic, health and societal impacts that can no longer be ignored. This is particularly true as clean energy alternatives to diesel become more viable in these communities. The Pembina Institute has worked for over 25 years with rural, remote, and Indigenous communities to promote the adoption of clean and renewable energy and support the transition to a low-carbon economy. 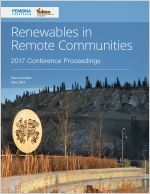 Our Renewables in Remote Communities conferences have brought together Indigenous leaders, industry, utilities, academia, environmental non-profit organizations, and representatives from federal, provincial and territorial governments for a dialogue on renewable energy development in these communities. Since remote communities are not connected to the North American electricity grid, they make use of their own small-scale microgrids. 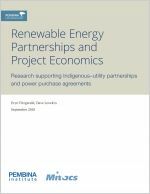 This report examines strategies for enhancing collaboration and partnership between Indigenous power proponents and utilities and territorial / federal governments. This report discusses how Indigenous leaders, government representatives, business, experts and the nonprofit sector shared insights into how to advance diesel reductions in remote communities. 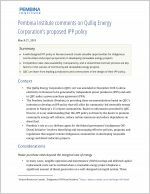 Our research indicates that a meaningful effort and focus is needed to improve relationships and create new opportunities between utilities and Indigenous power proponents. 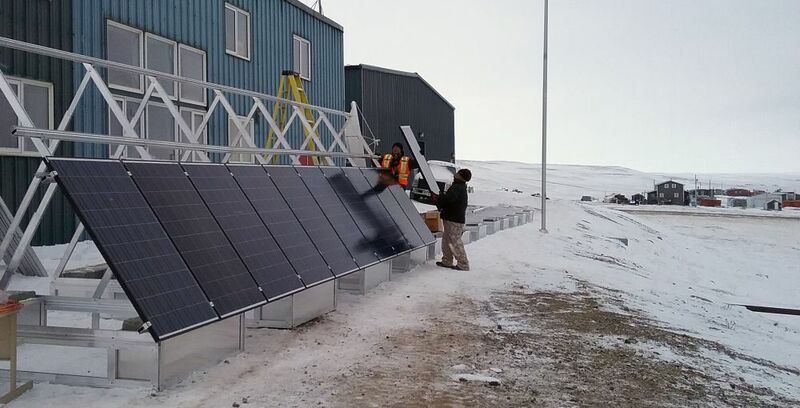 It's is an exciting time for renewable energy development possibilities in Canada’s north. Budget 2016, the first budget tabled by the Trudeau government, committed $8.4 billion over five years in new funding to Indigenous communities across Canada. This represented a significant increase from previous government commitments. Despite progress made in recent years in Canada’s move toward cleaner energy production, many remote Indigenous communities still rely on dirty and expensive diesel fuel for their energy needs. Of Canada’s 292 remote Indigenous communities, 257 of these rely entirely on their own micro-generation networks for electricity. Ottawa has announced that it will provide welcome financial support to help ramp up clean energy capacity in Indigenous communities in B.C. Renewable energy technology can reduce the use of diesel fuel in remote communities. Wind, solar, micro-hydro, geothermal and biomass are substantially cleaner and reliable forms of power generation.